Do you wait all year for those four little words to happen? Pumpkin flavors are here! We do too. When it comes to flavors of fall, there is nothing that compares to pumpkin. It seems as though everything can be made into a pumpkin or pumpkin spice flavor, and we aren’t mad about it. Yes, there are caramel and maple, but they really don’t compare to good ol’ pumpkin. 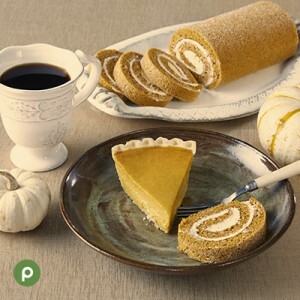 We have lots of pumpkin goodies to share with you and hope you get a chance to try them this season while they’re here. This ice cream proves you don’t have to give up frozen treats just because the air outside is chilly. 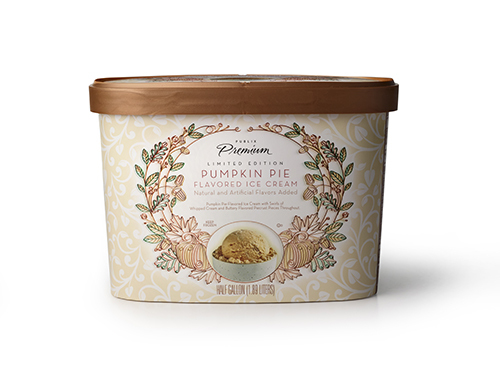 Each delicious spoonful of is filled with pumpkin pie flavors, swirls of whipped cream ribbon and pie crust pieces. Grab the blanket and light the fire, because if you’re a pumpkin pie lover you are going to thank us for this one. 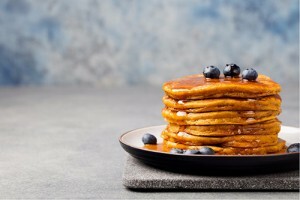 This breakfast treat is available all year. That’s right, pumpkin all year. Grab this mix and whip up some delicious pancakes or fluffy waffles to experience the cinnamon, nutmeg, cloves and ginger. The only question left to ask: “what will you choose this pumpkin season”? Want to whip up your own pumpkin creations? Let us help! Check out our tasty Aprons recipes, where pumpkin has no limits. Share your favorite pumpkin flavored recipes with us in the comments below.